Get rid of raccoons now, with our professional home removal service! We remove raccoons from your House, Business, Attic, Walls, Chimney, Shed, Garage, you name it! 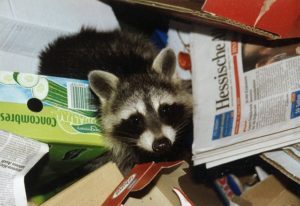 As Nuisance Wildlife and Raccoon Removal Specialists for the past 20 years, we have heard it, seen it, and done it all. So, you can trust us to get the raccoons out, for good. And if for any reason they return within 12 months, so will we – at no additional cost to you! Raccoon Removal may involve Trapping, Exclusion, or Exterminating depending on the circumstances, local regulations and client preferences. We are available 24/7 to handle emergency raccoon removal as well! Raccoons are known to establish a “latrine” soon after they move-in to a new environment. 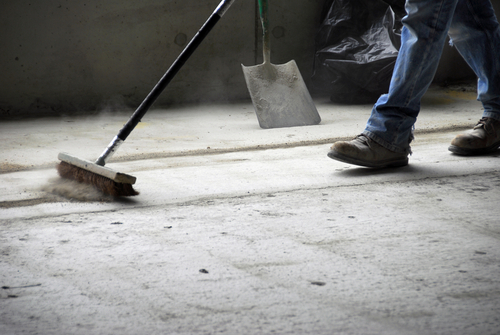 We can help you avoid disease and eliminate odors with a thorough latrine clean up. 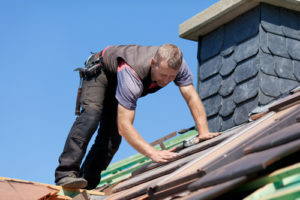 Once they have made their way into your house, commercial building, attic, walls, chimney, soffits, shed or garage, raccoons can cause all kinds of permanent damage. In some cases that damage can be to the architectural or structural elements of your home that require restoration by experienced contractors – like us! Have raccoons caused damage to your house, business or other property? 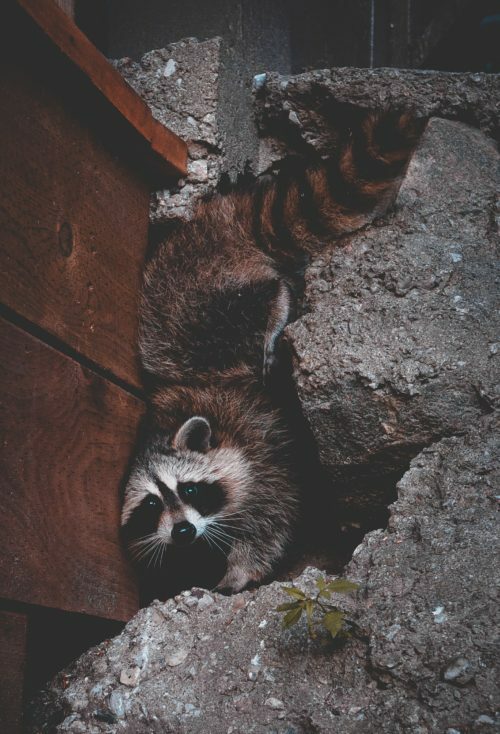 Raccoon damage can be expensive, so we have dedicated insurance coordinators that are experts at assisting our clients in getting the most out of their coverage. We don’t want you to spend money out of pocket that can be covered by your home-owners insurance. Let our experts help! We are experts at removing raccoons and repairing the damages they cause. Over 20 years of experience makes us the company you can trust. Removing Raccoons is our specialty. Our experience and our warranty will save you time and money. Every county and state has different laws and guidelines regarding the handling of raccoons after we trap them. We are careful to follow these laws, as they are designed to be both humane and in the best interest of wildlife preservation. Contact us today for a NO COST/NO OBLIGATION quote. We will be happy to discuss your raccoon control options whether you hire us or not! Tip #1 – WARNING! We don’t recommend do-it-yourself raccoon removal. Remember, they may look cute and cuddly, but they are wild animals that can attack if they feel threatened. They are known to carry diseases (bacterial, viral, and parasitic) that can be very harmful to adults, children and pets – some may leave you dealing with the consequences long after the scars have healed – and in some cases, you don’t even have to come into direct contact with the animal to be infected. Tip #2 – Eliminate factors that may tempt critters to intrude. Things like trash, dog or cat food, compost, etc…can put off scents that tend to attract all kinds of wild animals including raccoons. So, making sure your trash and pet food is well sealed or stored indoors can do a lot to prevent a problem in the first place. But, once they’ve moved in, dealing with the mess and odors can be difficult, unpleasant, and even dangerous. Contact with raccoon feces can lead to serious infections, and your children are the most at risk since they often are unaware of the danger of touching contaminated areas. Tip #3 – Homeowners insurance. In many cases, your homeowners insurance will fully or partially cover our raccoon services. However, dealing with your insurance carrier on this issue isn’t always as straightforward as you might think. 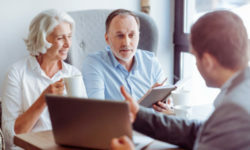 So, if you suspect you need our services, please don’t hesitate to call one of our Insurance Coordinators for a complimentary consultation before contacting your insurance company. Often times we can help you get the most out of your policy.